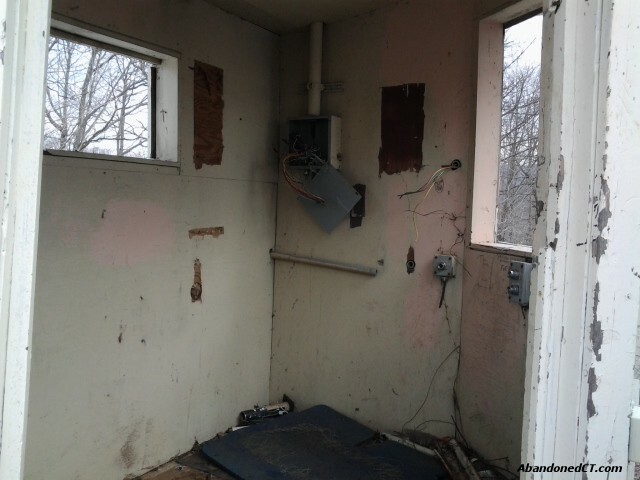 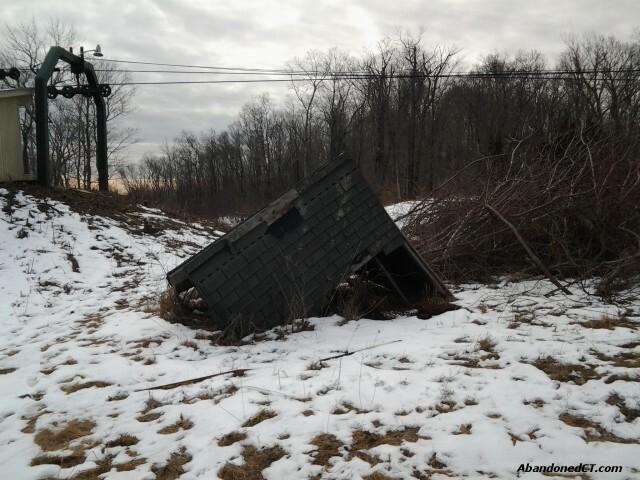 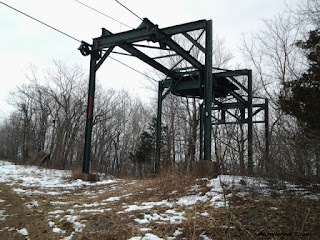 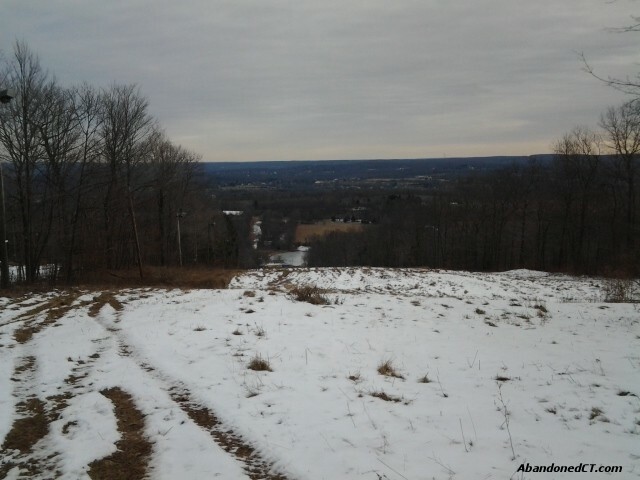 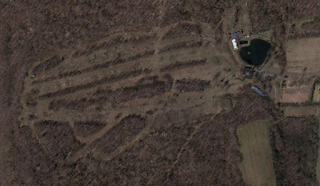 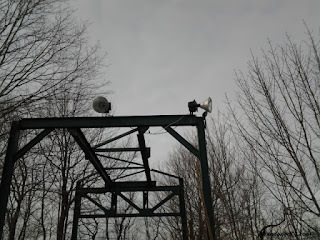 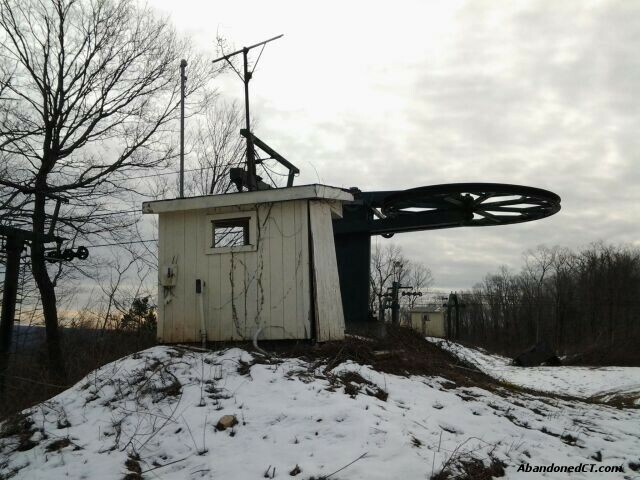 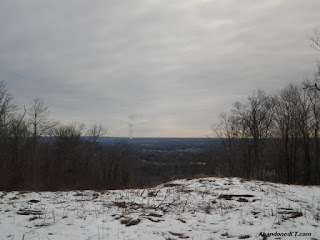 For almost 50 years Powder Ridge Ski Resort operated in the town of Middlefield, Connecticut. 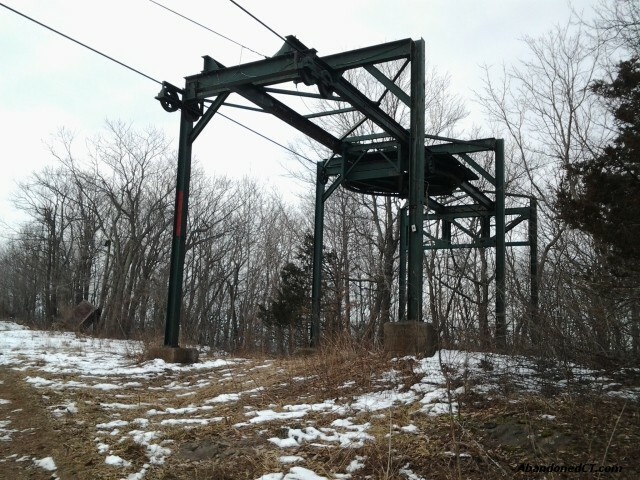 The Ski lifts came to a grinding halt when the Resort suddenly closed "permanently" in 2007 due to slow seasons and unusually warm winters which left them with debt of over 2 million dollars with TD Bank. 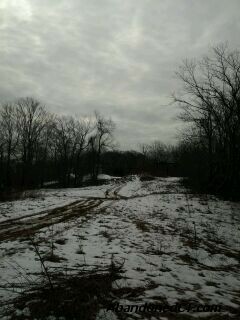 Today the snow covered mountain lays vacant with only the tracks of ATVs trailing across the hills. 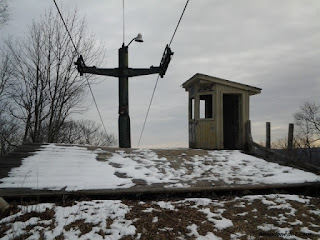 - We headed up there a month ago climbing the back of the mountain from the Meridian side. This was the third time I have been here since the closure and a few things have changed. 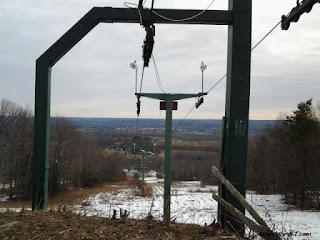 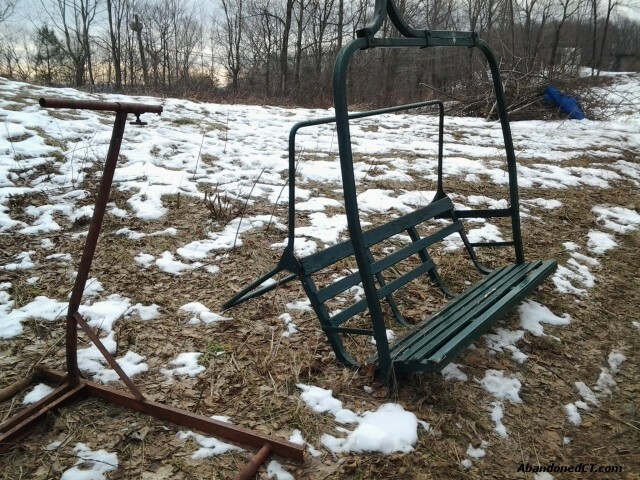 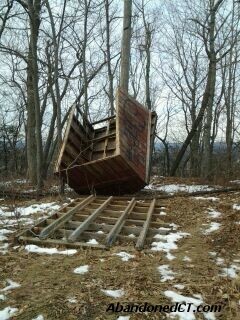 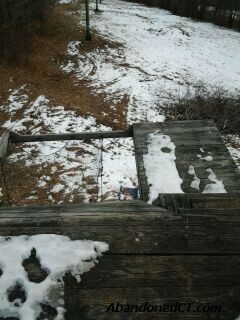 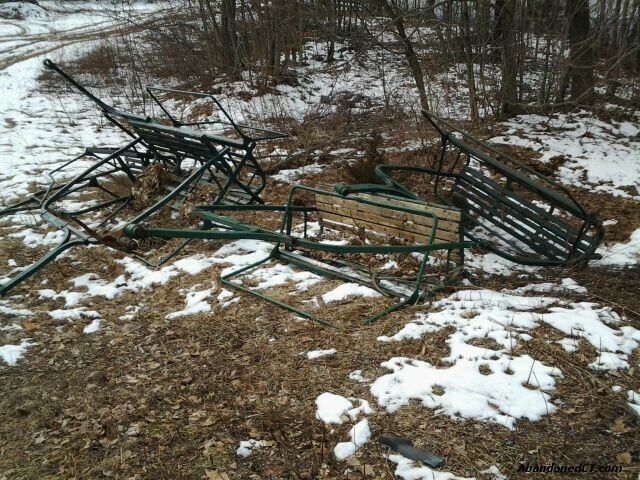 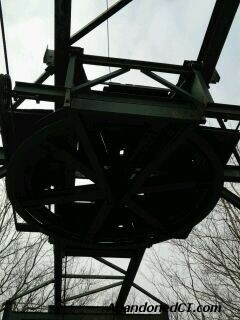 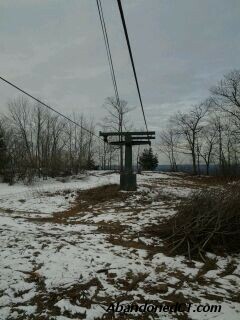 The chairs have been removed from the ski lifts and the snow machines have also been removed. 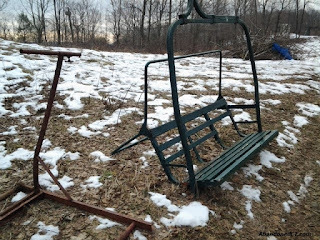 I do have pictures from three years ago of the snow machines and chairs on the lifts, but I have to go through my computer and find them. 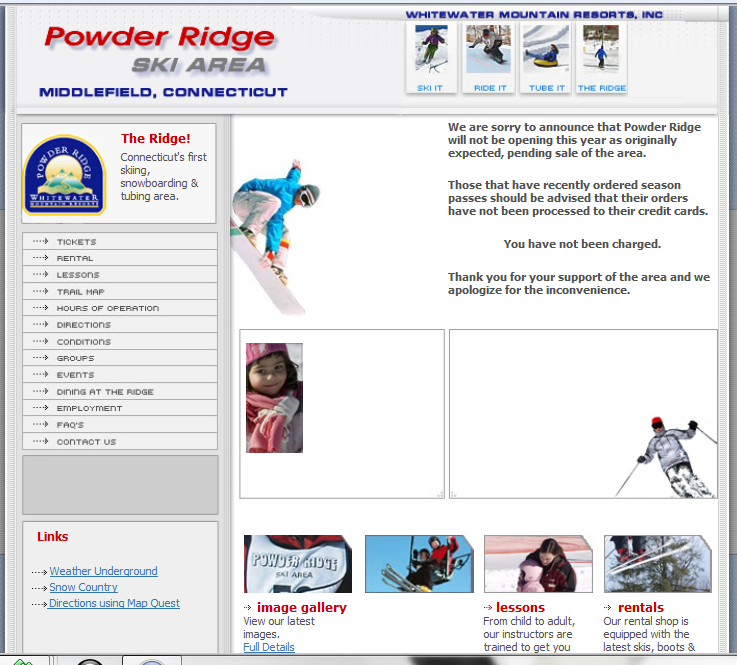 The website for the resort can still be found today untouched from 2007. 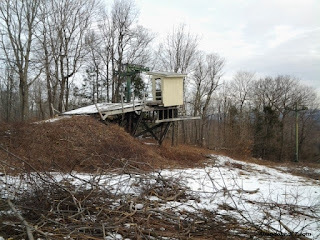 Recently it has been stated on the Resort's Facebook page that the park will be opening for a 2013 season...But we will just have to wait and see about that. 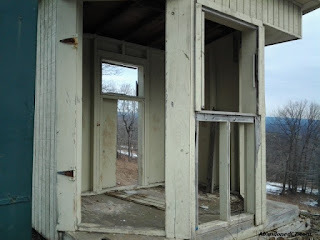 Have any cool abandoned pictures of places from around Connecticut? It could just be one, two or however many you have. Send them to us with your name, a brief description and your experience and we will post them to the site. 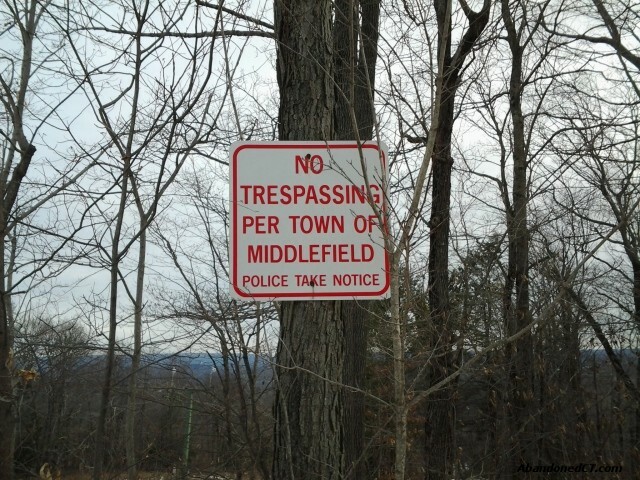 Please don't hesitate... I don't bite. We would love to see what you have.